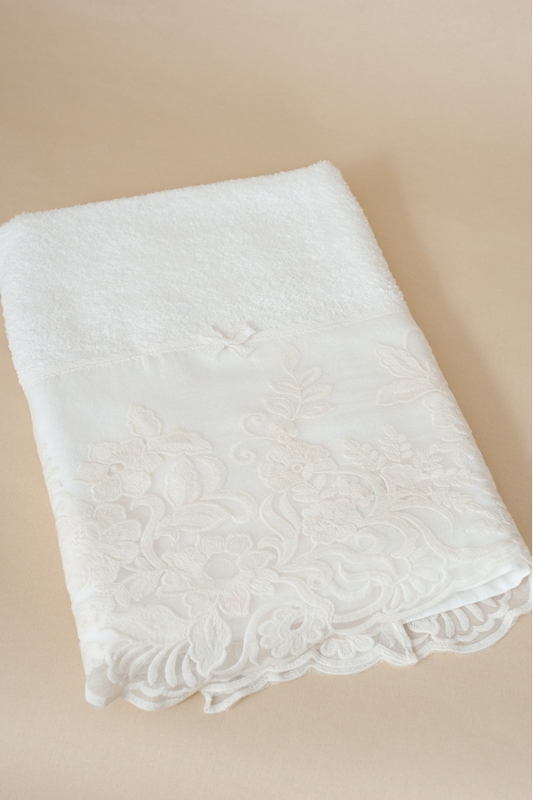 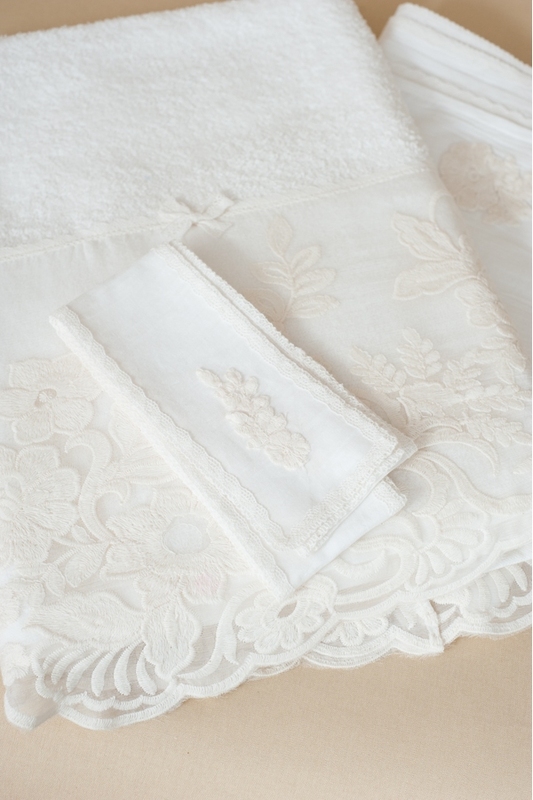 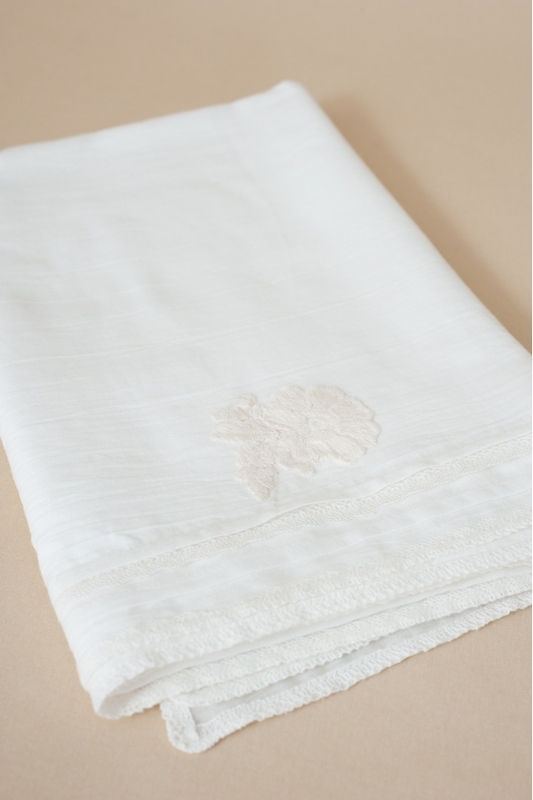 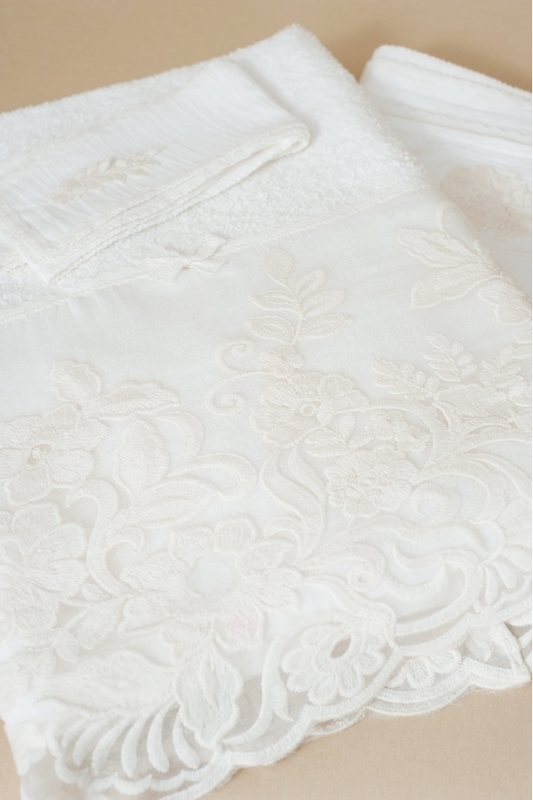 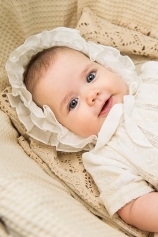 A Christening Set for Babies decorated with embroidered silk veil and decorated with delicate lace. 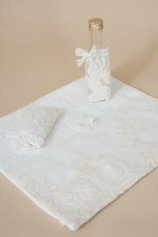 The set contains a large towel for babies, an unhemmed oil sheet, and a swaddling ribbon. 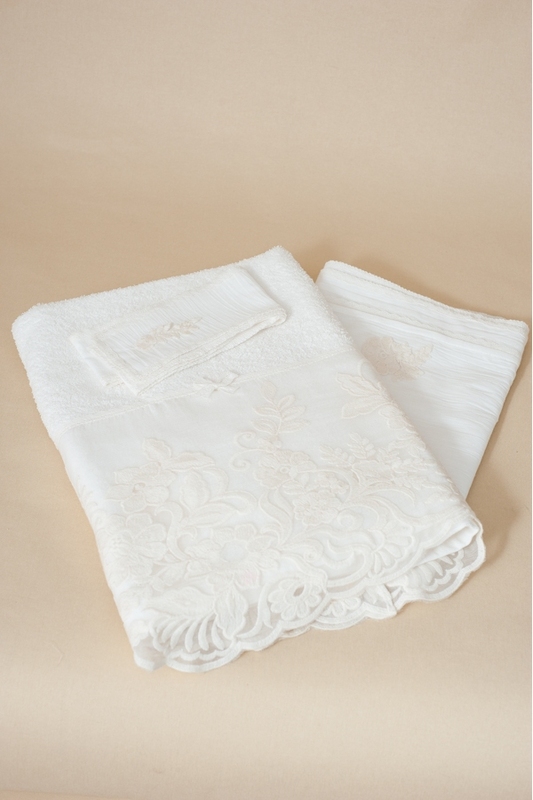 - ribbon: 5 x 150 cm.